Former NBA star Yao Ming has scotched rumours he was interested in buying his old team the Houston Rockets, saying he was too busy to consider the possibility. Yao, who played for the Rockets from 2002 to 2011 before retiring, told the official Xinhua news agency on Friday he was dedicated to his role as president of the Chinese Basketball Association. "I have no time to consider anything else (including buying Houston Rockets)," said Yao, who was inducted into the Basketball Hall of Fame last September. His comments came after long-time Rockets owner Leslie Alexander put the club up for sale last week. The Chinese centre's strong ties to the club had fuelled speculation about his possible interest in buying. He was feted by the Rockets earlier this year when they retired the ground-breaking Chinese player's number 11 jersey. 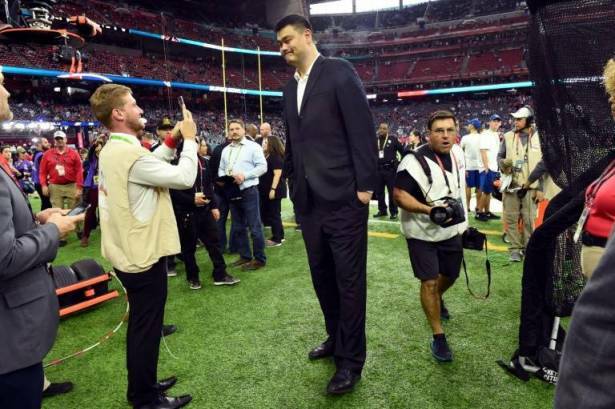 Yao, who averaged 19.2 points and nine rebounds for the Rockets, became a global ambassador for the sport during his eight NBA seasons. He continued promoting the game after he was forced into retirement by repeated foot injuries and purchased his hometown team, the Shanghai Sharks, after returning to China. The Rockets are the eighth most valuable franchise in the league at $1.65 billion and their annual revenue is $244 million, according to Forbes magazine.